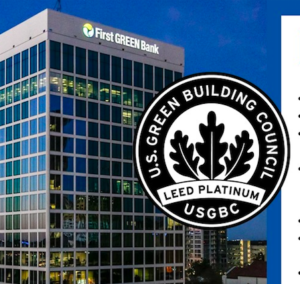 The meeting was held at the downtown Orlando location of First Green Bank. This building recently earned LEED Platinum certification for features including being close to public transport; offering secured bicycle storage and showers; reducing its water consumption by 35% using low-flow fixtures; getting 77% of its energy needs met by solar panels and the rest purchased through renewable “green power”; having LED lighting and improved insulation; and recycling 80% of its construction waste. The downtown is dense for a U.S. city, and quite pleasant to walk around. Tall buildings generated air currents and provided shade from the blistering sun. I doubt this was a deliberate move by the city planners; those same tall buildings would probably make the streets miserable on a cold winter day. I’ve done my share of walking around Boston and Chicago in cold weather, and tall buildings can create a bitterly cold, windy micro-climate. But in Orlando on a hot day, the buildings were like a cool concrete forest. 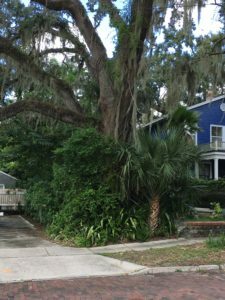 Also, that part of Orlando, and other parts of town I walked through, does have plenty of actual trees — very mature, leafy ones. Every urban area should have them! 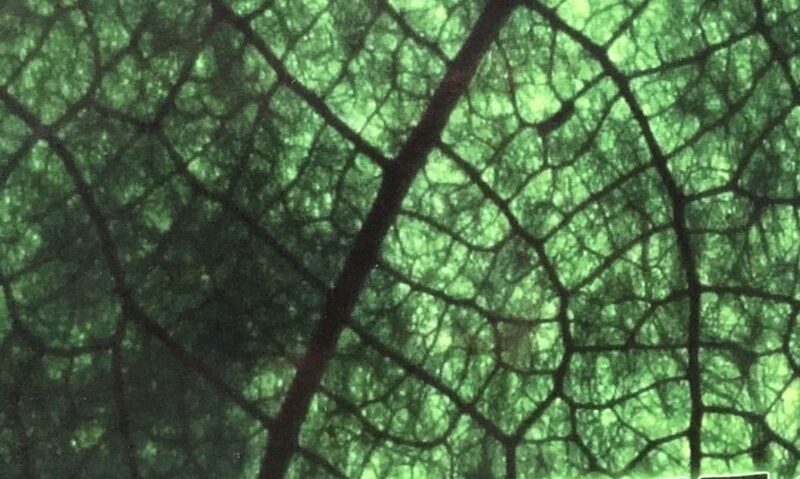 Not only do they mitigate heat in summer; they also take the edge off the cold and provide shelter from wind in winter. I spotted a Publix supermarket with a reduced space footprint (it had multiple floors rather than just one big floor, and a compact parking garage instead of a sprawling parking lot). And I walked along a dense little street of bars and restaurants that had gotten together and made an eco-pledge to only give out straws on request. I also sat for awhile in a well-shaded park that appeared to have some sort of permeable artificial mulch (recycled tires, maybe?) as its ground cover. Most of the parking seemed to be in parking garages, which were easy to locate thanks to ample signage on the streets. A lot of car owners I know complain about having to park in a garage, pay for parking, and so on, but really, in a dense area where there are a lot of different things to walk to, as opposed to just visiting one shop or going to a movie, it isn’t so bad. You park your car in the garage, make a day or an evening of it, and don’t get in your car again til it’s time to go home. 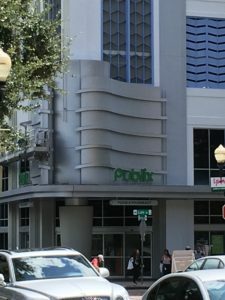 Or you walk or cycle: Downtown Orlando has enough density that the Publix I mentioned probably has thousands of regular customers right in walking distance. 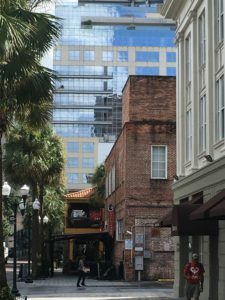 The walk from the Greyhound station to that part of downtown Orlando takes me about 45 minutes, and goes through some neighborhoods that appear very income-disadvantaged, and others that are obviously undergoing gentrification pressure. All in all it was a thought-provoking day of walking and absorbing sights. 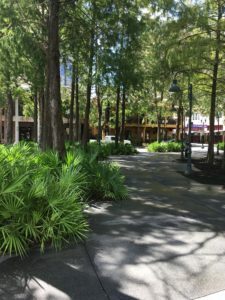 Orlando’s Mayor, Buddy Dyer, is known for being gung-ho about making his city green, and many other residents and businesses obviously share a certain degree of eco-consciousness. I arrived back at the Daytona Beach bus station around midnight, and by the time I took the 20-minute walk back over the bridge to my beachside home, I had probably walked a total of 10 miles that day. A low-cost, educational and scenic day. By the way, Orlando is one of 10 cities that are aiming for 100% renewable-energy use.